The Samsung Galaxy S6 was just launched and everybody is happy about it and longing to buy it, but there’s one problem: price. Like with any other flagship, the Galaxy S6 if you want it unlocked is rather expensive. The retail Galaxy S6 price is between $650 and $700, which for some people is more than their monthly salary. That’s where the Landvo S6 comes in. You can get one of these babies on Gearbest for just $101 if you use the coupon code LANDVOS6. Special Coupon Code: LANDVOS6 – With the code you can get the Landvo S6 from Gearbest for only $101. Don’t be disconcerted because it’s a clone. It doesn’t have to be a bad thing, because with the Landvo S6, you still get the Galaxy S6 design right in your hands and you still get a very good user experience, but you don’t get TouchWiz, which you might not even want. You can imagine that you’re not getting an Exynos CPU, a 16 MP camera and a fingerprint sensor for $100, but you are getting the essentials with the Landvo S6 and will still be able to look at your smartphone and say: Damn, that looks stylish. 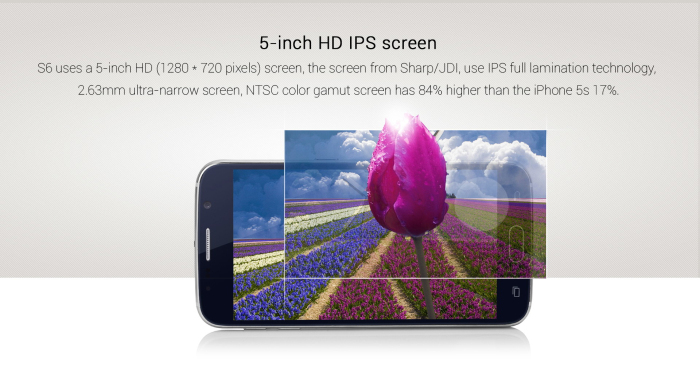 The Landvo S6 comes with a 5 inch display that has a 1280*720 resolution, which is quite enough for a screen that size. 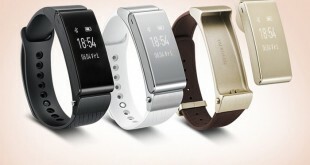 You get a good viewing experience, good viewing angles and enough brightness to be able to check your notifications comfortably even in bright sunlight. The Landvo S6 comes with a MediaTek MTK6582 quad core CPU, backed by 1 GB RAM and 16 GB internal storage, which you can expand with a microSD card if you need more. When it comes to camera, you definitely won’t get the shots that you would with the Galaxy S6, but the Landvo S6 still offers decent quality snapshots and video with the 8 MP rear camera with flash and the 2 MP front facing camera. 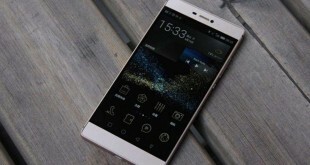 The only drawback of the Landvo S6 is the fact that only supports 3G, so no LTE for you if you choose this phone. Still, it gets a beefy battery that measures 2550 mAh, which should be enough for two days of moderate use. Now since this is a budget-friendly phone, you shouldn’t expect the best performance out of it, but you do get Android 5.0 Lollipop on board and there’s little bloatware and skin on top, so you’re going to be as close to stock as you can get without buying a Motorola or Nexus smartphone. 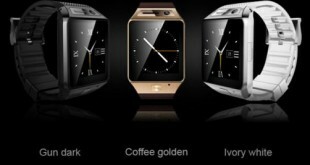 The Landvo S6 isn’t made with the materials the Galaxy S6 is made, but it comes close. 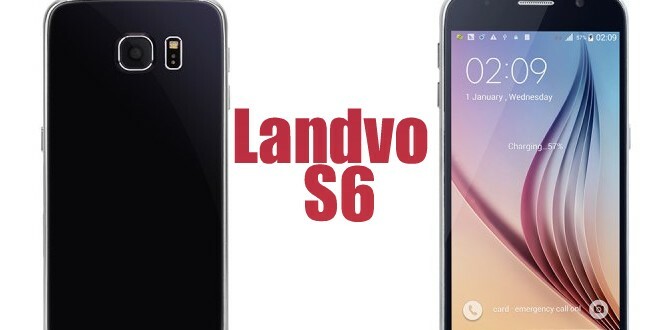 The design of the Landvo S6 is almost identical to the Galaxy S6, but it is a bit heavier at 160 grams. Otherwise, when it comes to width, height and thickness, it’s absolutely the same, apart from the slightly smaller screen and thus, thicker bezels. It still gets the metal frame and the glass panel on the back, so you’ll be getting a very similar experience as you would with the Galaxy S6. For a clone, the Landvo S6 is rather nice and manages to blend in practicality with design. Keep in mind that this is meant to be a budget-friendly smartphone and the Landvo S6 does budget rather well, especially if you use that coupon code up there. It won’t give you the features that the Galaxy S6 does, but it will look damn well while doing all the things that you need a smartphone to do for you nowadays. Even though you can’t play Asphalt 8 on it, you can still enjoy Despicable Me, Candy Crush, Angry Birds and all the social media that you can imagine. Overall, ‘tis a good clone, especially for $101. Next UK government pledges to give more funding to game developers.